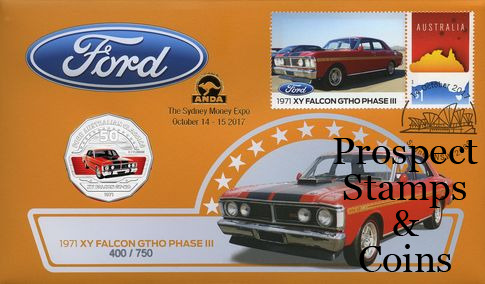 The 2017 Ford Falcon XY GT-HO Phase III overprinted Stamp and Coin cover was produced by ANDA exclusively for the Sydney ANDA show. Exclusive overprint featuring the ANDA logo and the Sydney Money Expo date. 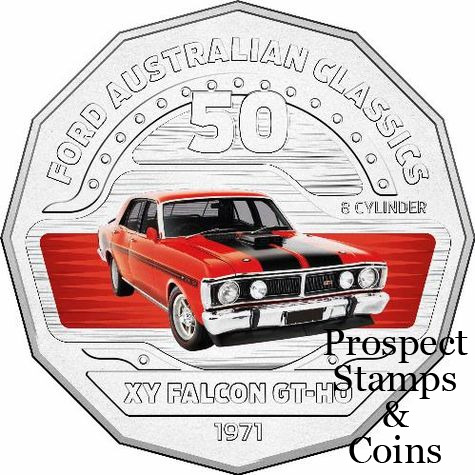 Celebrated on a colour printed uncirculated 50 cent coin.